Chica, M., Bautista, J., de Armas, J. 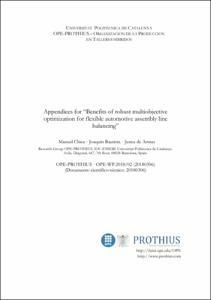 "Appendices for “Benefits of robust multiobjective optimization for flexible automotive assembly line balancing”". 2018.